Includes the names: Dorothy S. Davis, Davis Dorothy S., Dorothy Salis Davis, Dorothy Salibury Davis, dorothy Salsbury Davis, Dorothy Salisbury Davis, Dorothy Salisbury Davis ed. Dorothy Salisbury Davis was born in Chicago and adopted as a toddler by a farm family in Rhinelander, Wisconsin. In 1938, at the height of the Great Depression, she graduated from Barat College in Lake Forest, Illinois, and worked as a magician's assistant, as a research librarian for a Chicago advertising firm, and in public relations. She also was an editor of The Merchandiser, a weekly publication. In 1946, she married Harry Davis, an actor and stage manager who encouraged her to write. She achieved her first big success in 1951 with her third novel, A Gentle Murderer. Over her more than 50-year career, she came to be known as a grande dame of crime writers. She published 17 crime novels, three historical novels, and numerous short stories, many of which portrayed women as strong, complex characters rather than as the usual damsels in distress. She served as president of the Mystery Writers of America in 1956 and was declared an MWA Grand Master for lifetime achievement in 1985. In 1986, she helped found Sisters in Crime, an organization of female mystery writers. 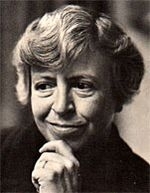 Dorothy Salisbury Davis is currently considered a "single author." If one or more works are by a distinct, homonymous authors, go ahead and split the author. Dorothy Salisbury Davis is composed of 8 names. You can examine and separate out names.